For any 3D printing process, the first step is to design the end product. Most 3D printing businesses will use a form of 3D modeling software. This process can take time as a designer has to painstakingly create the 3D model manually. There are technologies designed to bypass the design phase entirely. Many are increasingly turning to 3D scanners to generate 3D content. Once the design has been uploaded, it’s time to 3D print. SLA 3D printing starts with liquid materials that are bound together into solid parts by using a light source. This process is repeated over multiple layers to create the final product. Depending on the resin used in the product, it may require some post-curing, which uses UV light to stabilize the polymers. The 3D printing video above does a good job of explaining this. Many 3D printed designs make use of supports, which are just pillars that are used to create the overall shape when printing. Once the product has been fully cured, these need to be cut off and sanded down smoothly for a polished finish. Now that you know how SLA 3D printing works, you can really start to understand the different applications of it. The 3D printing business is growing rapidly, which means that there are an ever-increasing number of innovative and useful items that are being created. Have you ever struggled trying to find a pair of earrings you like? With 3D printing, you don’t have to settle for mass-produced options at jewelry stores. Instead, design custom, one-of-a-kind earrings that show off your artistic style. 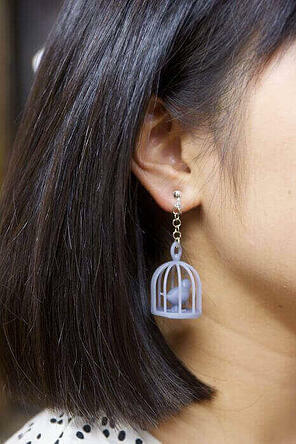 The earrings below were 3D printed with SLA 3D printing. 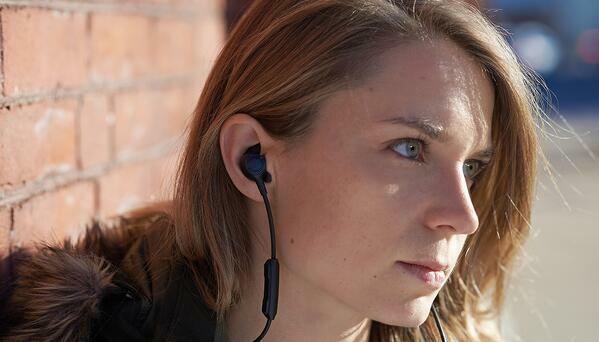 Have you ever struggled to find headphones that fit your ears well? Formlabs, a 3D printing manufacturer, can now scan your ear and provide you with a tailor-made set of earbuds that fit perfectly in your ears. Not only will they stop falling out all the time, but they’ll also be more comfortable. Want to learn how 3D printing is also disrupting the photography market?